Essex bargains are shown at the Chattanooga location. 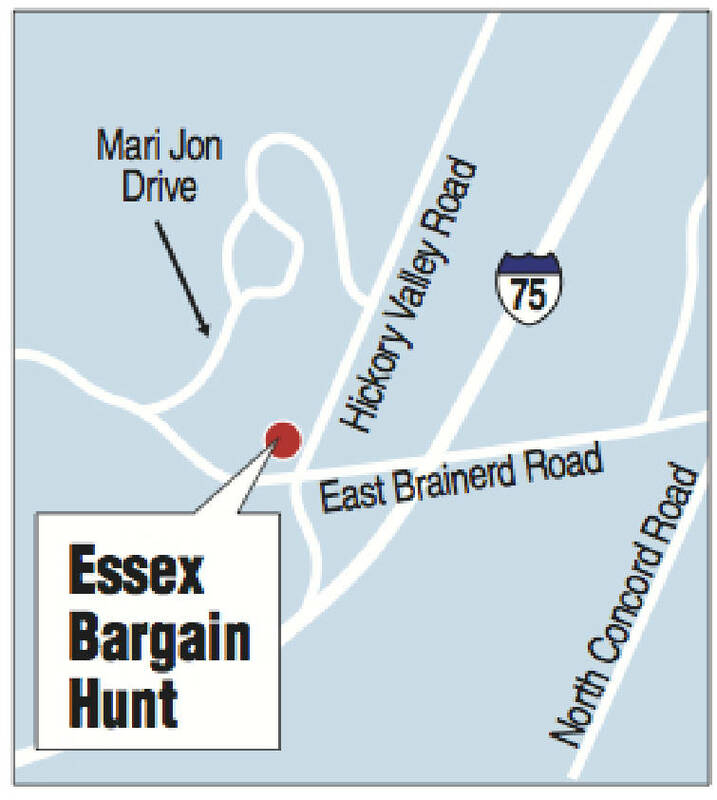 Discount retailer Essex Bargain Hunt is entering the Chattanooga market as it leases a high-profile site at Hickory Valley Road near Interstate 75 that held The School Box for many years. "We've had our eye on that spot," said Peter Adams, the LaVergne, Tenn.-based company's vice president of business development. The 25,000-square-foot Chattanooga store, the company's 21st unit, will open Friday, he said. The store is to employ about 25 people, Adams said. Essex sells a variety of merchandise, including designer clothing, TVs and other electronics, home goods and domestics, toys and bikes, sporting goods and outdoor gear, and indoor and outdoor furniture. According to Essex, if it does not have the best price on any item in the store, it will match anyone else's published price. Its stores receive multiple tractor trailers of product each week to keep them stocked with fresh merchandise, the company said. "We've been wanting to get in the Chattanooga market the last two or three years," Adams said. "We couldn't find the right spot." He cited the growth in the Chattanooga market as an attractive factor for the company along with the city's proximity to Nashville. "We stock all our stores from our main distribution center outside Nashville," Adams said. Site of new Essex Bargain Hunt. Illustration by Laura McNutt /Times Free Press. John Healy of the Chattanooga commercial real estate firm Sperry Van Ness/Elder Healy, said Essex' business model is "a really interesting concept." Healy noted that the store will discount merchandise 10 percent if it has been in the store for 30 days and another 10 percent every 10 days. In addition to Tennessee, the retailer has stores in Alabama, Kentucky, Indiana, Mississippi and Georgia, including Dalton and Rome. Adams said plans are to open another Georgia store, in Kennesaw, before the end of the year. Essex recently opened a second store in Birmingham, Ala., and it's scouting for a potential additional unit in the Chattanooga area. Adams said the company also is looking at Cleveland, Tenn.
"We're looking to add a few more next year," he said. At the Chattanooga location, workers have expanded the sales floor to give the discounter a little more room, Adams said. "We gave the inside a bit of a face lift," he said. The School Box, which was at the Hickory Valley Road site for about two decades, has relocated to Commons Boulevard off Gunbarrel Road.